UPDATE ONE: The Division is back online and while Ubisoft have confirmed that they have no changes or patch notes to provide on today's downtime, they have supplied the official Incursions Update details. The full patch notes can be found below and include a huge list of features heading to the game on April 12. The Division update 1.1 will deploy on that date, and Ubisoft have supplied new details on what players must have achieved to play the new Falcon Lost mission. The full list of game changes for The Division can be found here, above is the list of new features coming to Xbox One, PS4 and PC. The development team recently confirmed that they planned to take the MMO servers down around the same time each week. The April 5th scheduled maintenance period will last around three hours and will start at 8am, UK time. Ubisoft have yet to confirm if there will be patch notes or a changelog to notify fans what has changed. "The servers will shut down for maintenance on Tuesday, April 5 at 09:00 AM CEST, 03:00 AM EDT, 12:00 AM PDT. Estimated downtime is approximately 3 hours," Ubisoft confirmed in a recent online post. "Please follow this thread for any updates as the maintenance progresses." The game was recently taken offline to remove a new exploit found to help with farming loot. Players discovered that if an NPC named Hutch, who is fought on top of Madison Field Hospital, is killed without him jumping down from his starting ledge - then the battle can be repeated to gain extra loot. 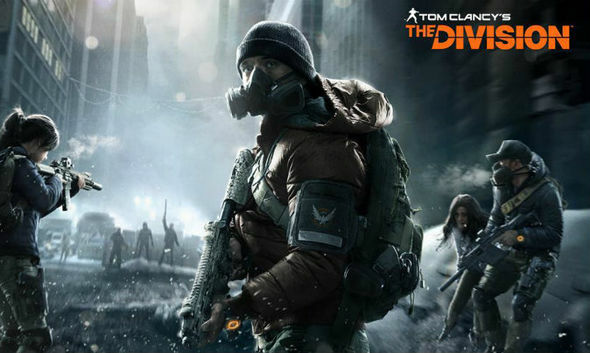 The Division team have been busy removing exploits where they find them and have recently made changes to how NPCs spawn to put a stop to some of the loot cave item farming techniques. Ubisoft usually hold a Special Report event on Twitch during the maintenance, which can be watched above when the downtime starts. The Division is also set to get its first free update, Incursions, later this month, it is unclear if this maintenance period is in anyway connected. Four rare gear sets will be part of the Incursions expnasion: Sentry’s Call, Striker’s Battle Gear, Path of the Nomad, and Technician’s Authority. Finding and equipping four pieces from a single set unlocks a new talent for your Agent, which the developers aren’t revealing yet. You can replay Falcon Lost and other upcoming Incursions as many times as you want and still be rewarded with new loot.